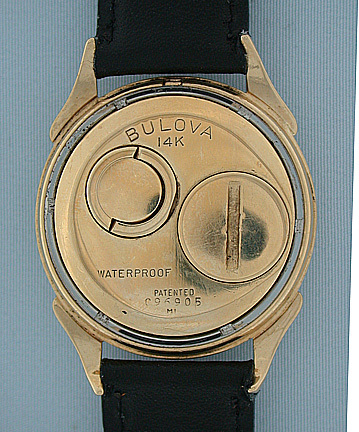 Bulova Accutron 14K gold Spaceview vintage wrist watch circa 1961. 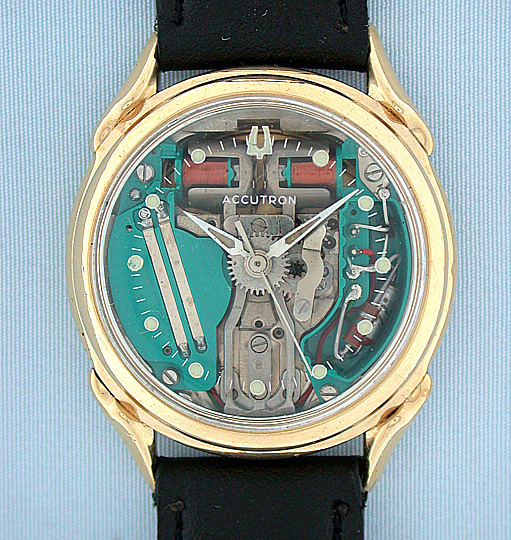 Transparent dial exposes the tuning fork movement. Substantial case with downward sloping lugs.